21 year-old New Zealander artist/producer Willy Moon mixes together the swagger of early rock ‘n’ roll with the confidence of modern hip-hop to create an amazing mix of nostalgia and now that is truly unique. 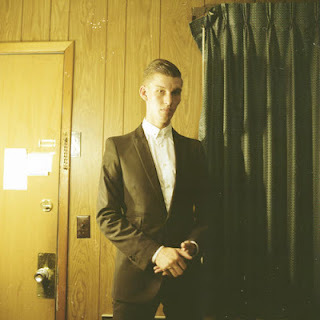 His newest single “Railroad Track” is being released August 20 on Third Man Records and the suave vocals, tasty production work and film noir musical vibe makes this one a no-miss. Willy’s songs showcase a songwriting talent and an ear for blending together instrumental ingredients that contradicts his young age. The swanky video for “Railroad Track” was recorded right here in Nashville and I love all the gorgeous urban decay shots and all the visual shout outs to my fair city. The b-side to “Railroad Track” is a great cover of “Bang Bang (My Baby Shot Me Down)” (shortened here to just “Bang Bang”), the Sonny Bono-penned classic made famous by Cher, Nancy Sinatra and Stevie Wonder, among others. Even Third Man Records founder and all around musical maestro Jack White has done an amazing cover of the song with The Raconteurs. However, Willy’s version doesn’t go for the explosive frenzy of The Raconteurs, opting instead for a pretty straight forward tremolo-drenched version that stays faithful to the original. The biggest difference here is in the lyrics where Willy’s vocal takes place from the other side of the gun. Both sides of the 7” single sound tastefully throwback and incredibly fresh, so be sure to give it a shot when it releases next week! “Railroad Track” can be pre-ordered directly from Third Man Records HERE.